$11.412 million on 3005 screens. 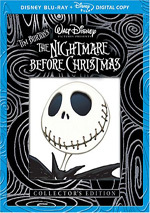 Coming off a hit via 2010’s Alice in Wonderland, Tim Burton failed to recapture success in 2012. First he put out May’s Dark Shadows, a big-budget comedy-horror-action effort that brought in a lackluster $79 million; that figure represented barely half of the flick’s budget. In October, Burton released Frankenweenie, an animated adaptation of a short film he made way back in 1984. It recouped a much higher percentage of its budget than Shadows, but that’s because it cost a mere $39 million. With a gross of only $34 million in the US, Frankenweenie bombed. Even though audiences shunned Frankenweenie, I held out hopes it’d entertain. Frankenweenie introduces us to Victor Frankenstein (voiced by Charlie Tahan), a young boy who displays extreme intelligence but who prefers to hang out with his dog Sparky and work in the family attic. He makes short stop-motion films with Sparky and shows strong scientific aptitude. When Victor hits a home run in a baseball game, Sparky runs to chase the ball – and gets hit by a car. Despondent, Victor uses his scientific knowledge to come up with a way to reanimate dead matter and bring Sparky back to life. We follow his endeavors as well as the results. Of Burton’s two 2012 films, Frankenweenie seemed like the one most likely to satisfy, if just because it boasted a stronger “labor of love” feel. While I’m sure Burton’s affection for the Dark Shadows TV series led to his decision to adapt it, the whole thing felt a little too much like “product” to me. Frankenweenie lacked the same big corporate push behind it and didn’t include major stars like Johnny Depp, so its existence as a more modest affair gave it that “from the heart” feel to which I alluded. Here we found a director who went back to his roots to repaint an apparently beloved early project on a bigger canvas. I thought the 1984 Frankenweenie was enjoyable but nothing special, and the same goes for the 2012 adaptation. This is a perfectly decent little film that never manages to elevate above that level. Part of the problem comes from the semi-stretched feel of the film. The 2012 take runs almost three times as long as the 1984 short, so obviously it needs to expand the original’s horizons. Some of these changes satisfy, but at times they don’t feel especially organic. I occasionally get the impression that Burton wasn’t sure how to expand the original’s universe and just grabbed at whatever straws he could find. This means lots of movie references, both to earlier horror and to Burton’s own works. Frankenweenie comes with the standard allotment of allusions to the Universal monsters via character names, some designs and various situations. Maybe the Burton from 20 years ago could have given all this a sense of fun and anarchy, but Burton circa 2012 seems unsure of what to do with the material. This makes the film a collection of little scenes without much to join them. The movie’s narrative thread seems tenuous and never really goes anywhere; again, the decision to triple the length of the original results in a padded story without much direction. Like most Burton films, Frankenweenie does look good. The stop-motion animation seems quite appealing, even though I’m not especially wild about the beady-eyed character designs. Still, the production manages to create an intriguing world and uses its black and white cinematography well. Despite some fine actors like Martin Short, Catherine O’Hara, Martin Landau and Winona Ryder, none of the actors manage to do much with their parts. Landau probably offers the liveliest performance, but even he feels like a retread, as his take on science teacher Mr. Rzykruski just seems like a reworking of his Bela Lugosi from Ed Wood. Which was part of the point, of course, but that and the many other little in-jokes don’t make this an especially entertaining affair. Even the movie’s big action finale doesn’t quite do the trick. Frankenweenie has potential and offers sporadic entertainment, but it too often comes across as the work of a filmmaker who lacks much direction. Frankenweenie appears in an aspect ratio of approximately 1.85:1 on this Blu-Ray Disc. From start to finish, the image looked great. At no point did sharpness falter. The movie always presented crisp, concise visuals, and I discerned nary a hint of softness. No issues with jagged edges or shimmering appeared, and I saw no signs of edge enhancement either. Print flaws weren’t a problem as the movie lacked any specks, marks or other defects. It remained wonderfully clean and fresh. Black levels looked terrific, as the movie always demonstrated deep, rich tones. Contrast was excellent, and shadows also appeared smooth and appropriately delineated. Across the board, this became an appealing image. While not quite as strong, the DTS-HD MA 7.1 soundtrack of Frankenweenie also worked well. Because the movie didn’t feature a lot of slam-bang action, I didn’t expect a lively soundfield. However, the five speakers filled out the room well and added a lot to the package. The score presented solid stereo imaging in the front and also meshed to the rears with good involvement. Some isolated dialogue came from the various speakers, and effects added a nice sense of the surroundings. The elements cropped up in all the appropriate locations and formed a vivid feel throughout the flick. The smattering of more active sequences – most of which appear in the climax - used the spectrum to positive effect and worked well. Audio quality was satisfying. Speech seemed natural and crisp, with no edginess or issues connected to intelligibility. Music was bold and dynamic. The score presented nice oomph and showed fine clarity, and effects were similarly well-defined. Those elements sounded accurate and vivid at all times. This was a solid soundtrack that added to the film. An original short called Captain Sparky vs. The Flying Saucers lasts two minutes, 26 seconds. This lets us see another one of the stop-motion flicks Victor creates. It’s cute but not much more than that. Two featurettes follow. Miniatures in Motion: Bringing Frankenweenie to Life goes for 23 minutes, six seconds and includes comments from producer Allison Abbate, director Tim Burton, executive producer Don Hahn, animation director Trey Thomas, puppet hospital supervisor Andy Gent, puppet designers/developers Peter Saunders and Ian MacKinnon, modeler Josie Corben, junior model maker Paul Davies, art director Alexandra Walker, director of photography Peter Sorg, assistant art director Barry Jones, lead painter Roy Bell, foliage and small props Maggie Haden, lead animators Antony Elworthy and Tobias Fouracre, and animation supervisor Mark Waring. We learn a little about the film’s roots/development but mostly examines the animation process. We hear about character design and storyboards, the creation of the puppets, sets and props, lighting and photography, and the stop-motion animation. “Motion” covers a nice array of technical topics in a satisfying manner. It’s too bad we don’t get a commentary for the whole film, but this nonetheless acts as a solid overview. Frankenweenie Touring Exhibit fills four minutes, 36 seconds and lets us see a show that promoted the film. Exhibited at Comic-Con and elsewhere, we see the collection of Frankenweenie artifacts it displayed and also hear a few remarks from Abbate, Burton and Hahn. It gives us a decent look at some of the original stop-motion components. Next we find the Original Live-Action Frankenweenie Short from 1984. It runs 30 minutes, three seconds and offers an enjoyable film. While it’s not great, it’s mostly successful and entertaining. It’s also fun to compare the two versions and see how they differ. We also get a Music Video for “Pet Sematary” by the Plain White T’s. They offer their take on the song the Ramones recorded for the 1989 Steven King-based film. It’s an utterly toothless take on the song, but the video’s mildly interesting; while it’s mostly a mix of movie clips/lip-synch, it has decent production values. Disc One opens with ads for Wreck-It Ralph, Oz: The Great and Powerful, and The Muppet Movie. These also show up under Sneak Peeks along with promos for Once Upon a Time, Peter Pan, Disney Parks, Planes and Return to Neverland. No trailer for Frankenweenie appears here. 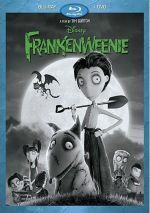 Disc Two provides a DVD Copy of the film – with two of the Blu-ray’s extras – and Disc Three gives us a Digital Copy of Frankenweenie. Finally, Disc Four delivers a 3D Blu-ray Copy of Frankenweenie. Maybe someday I’ll get a 3D TV, but right now, I don’t have that capability, so I can’t screen this version. Nonetheless, I wanted to mention its inclusion. 28 years after the original short film, Tim Burton reworks Frankenweenie with mediocre results. While I respect and admire the artistry of the appealing stop-motion animation, the story and characters lack much to make this an enjoyable ride. The Blu-ray delivers excellent visuals, solid audio and a few interesting supplements. Maybe someday Tim Burton will return to form, but Frankenweenie gives us another disappointment.